With Windows 10 IoT Core we have made it so anyone can build and commercialize things—intelligent, connected devices—with apps. 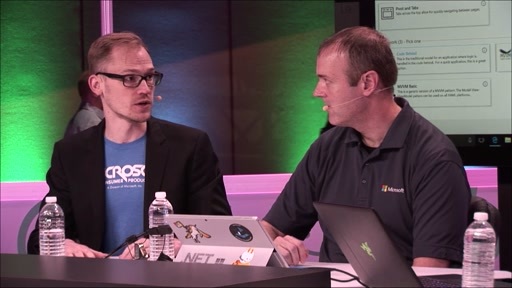 In this session, entrepreneurs, product owners and developers learn how to create IoT solutions with Windows IoT Core. We detail the path to commercialization and how to prototype, configure, deploy, manage, and sunset your devices. Learn how to harness enterprise-grade scalable OS updates and application servicing. We go in-depth on how to defend against modern security threats and how to lock down your devices from physical and remote attacks. Developers learn how they can be productive utilizing familiar tools and languages to rapidly build solutions and how to leverage the new capabilities of RS2. Thanks for this track. i've a question. When will be release the new ioT Core update service?. i'm just "figthing" customizing an image with no SO updates , but with a especific release10.0.0.15053.414, not the base 10.0.0.15053.0.